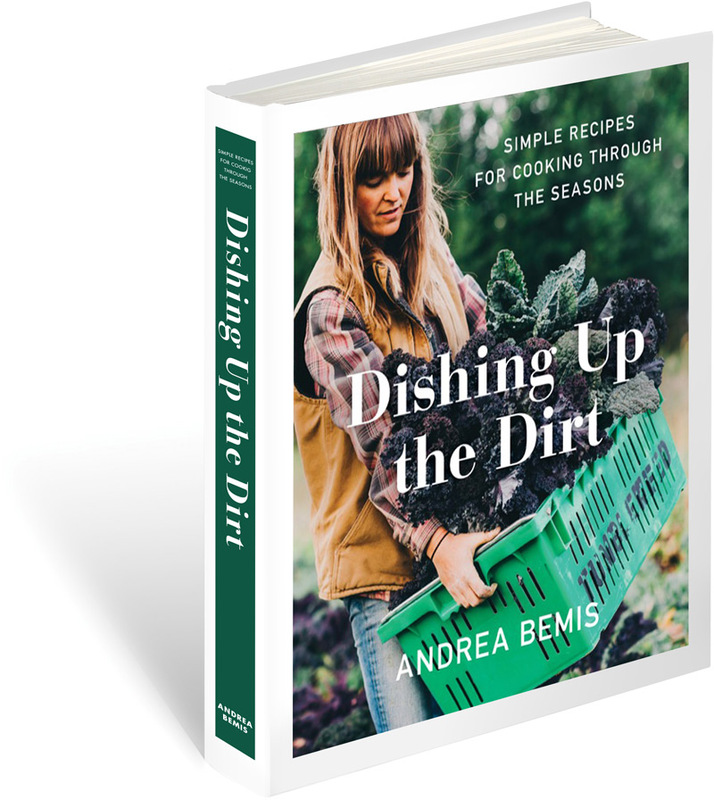 Dishing up the Dirt book giveaway! I honestly cannot believe it’s been 6 months since the debut of my book. 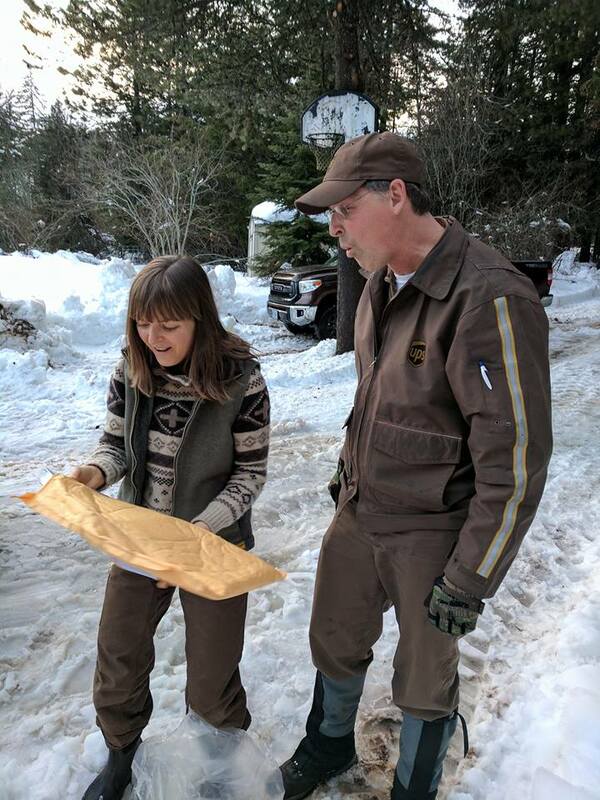 I will never forget how emotional it was to see my book for the very first time (courtesy of our amazing UPS driver in the middle of a snowstorm). Time seems to be flying by at a ridiculous pace. My book debuted at the very beginning of the farm season and I feel as though I wasn’t able to fully absorb the excitement and “realness” of it all. I mean heck, the seeds weren’t going to seed themselves and our CSA members had already paid up so there was no excuse to be away from the farm for long. With that being said, I did get a break to head east for a hot second and meet my publishing team and do a few fun events in the big city (NY) and a few smaller events back out west. However, the farm calls the shots and even with a book debut my obligations will always be with Tumbleweed. As we near the end of our 2017 farming season and the 6 month anniversary of my book debuting I find myself reflecting on this whole process more than ever. Maybe it’s the fact that this farm season has been the most challenging to date, or maybe it’s that we are finally letting our guards down a bit (which we always do mid September) but regardless, it’s been an emotional year with lot’s of ups and downs and I want to finally absorb all of these feelings. A wonderful stranger came up to me at the farmers market this past weekend and flipped through my book for quite a while. Once he set it down he asked if he could shake my hand. I obliged and as we were firmly hand in hand he said, “Harper f*cking Collins! You should be very, very proud of yourself.” For the first time in a while I was brought back to the late nights of recipe testing, writing my introductions to all the seasons (the book is part memoir) and then to the butterflies that were in my stomach as I pitched my proposal to publishers that I never dreamt in a million years would even take a minute to read something from me. Harper Collins has published a LOT of books and when they made an offer on my proposal I just about died. It’s good to be reminded that even as time passes and I get distracted by the farm that this happened– is still happening. And I am so damn proud. To celebrate my 6 month book anniversary I am giving away 2 copies of the DUTD cookbook. This giveaway comes at a time when my own backyard is burning (the Gorge wildfires) and so much of the south is dealing with horrible hurricane devastation. There are first responders working around the clock to protect us and what I challenge folks who read this blog or cook through my cookbook to do is whip up one of my recipes and drop it off anywhere where first responders are stationed. Whether it’s your local fire station or a base for volunteers helping out during these disasters. And hey, if that’s not feasible where you are maybe a batch of my real mint and chocolate chip cookies for your postman (or woman), UPS driver, your kiddos teachers or simply your next door neighbor just because. Let me know how you plan to share the DUTD love in the comments below and I’ll choose two winners by September 20th. Below is my official cookbook trailer. I hope you all enjoy. DISHING UP THE DIRT / Andrea Bemis from Modoc on Vimeo. I’m proud of you, Andrea. You are an inspiration! I love this book trailer! I want to share the DUTD love by making a meal for my friend that’s working a fulltime job and is also in the middle of yoga teacher training. It would take some stress off of her and let her really dive more into her passion. I live in Sarasota FL – so much to do I plan to do a community SOUP and pot luck to know who needs what I follow al you do WOULD LOVE A BOOK!! By having dinner and art-making evenings with my friends! I just love your recipes; fantastic flavors and not too complicated! We do a Sunday dinner every week at our house and open our doors to whoever may want to stop in. Plus, my husband is a first responder and is always up for great food! You have given me SUCH an appreciation for farmers everywhere since I’ve been following your Instagram. Your recipes are genius and I love your adorable pigs! Keep up the good work! I’d share with our best friends and next door neighbors. They just had their first baby 3 weeks ago!! Would love some new recipes ! We recently sold our 6 acre farm where we grew lots of vegetables and rescued horses and donkeys. We live in a neighborhood now that has an area for gardening but it sits empty now. I hope to start an effort to grow veggies there again and offer the harvest to the community. We already have honey from our neighborhood bee hives. Your recipes look delicious! Amanda Berlin turned me on to you when you were a guest in her podcast. I’m a personal chef in NYC and was featured later that month. I’ve been getting your blog since then and am so inspired that you make time for it all – the farm, writing, cooking, social media, relationships, etc. I’d love a copy of your book to share your recipes with my clients and I can dive even deeper into your story. Congratulations on it all! You are an inspiration, sister! Also, I teared up a little bit at the video. You’re just the best. I’m a Red Cross volunteer likely to be deployed to Florida. If/when I go, I’ll make some of your chocolate chip cookies to take along. I don’t need a copy of your book – I already have one and gave one to my sister, too. I love the book and love what you guys are doing. Give my best wishes to Taylor (from me and Annie – Taylor walked us down the aisle at Russ’s wedding and Annie has loved him ever since). We borrowed a copy of your book from our local library as soon as it was published and absolutely loved it! Congratulations!! Our family would love to bake some muffins or bread to drop off at our local fire station or at training for our volunteer search and rescue team (WESAR – Kitsap Unit) and your book would make a great addition to our kitchen go-to cookbooks! Thanks for a fun giveaway! All are becoming creative fine healthy cooks and bakers . The fire fighter is baker for the rangers house in boundary waters . We often share recipes we spotted in Instagram or they ask me what to do with an over abundance of figs ( daughter in LA) . Would be great to share more delicious innovative recipes with them . I would like to share some kind of dessert with my colleagues because we work under a lot of pressure and we do not always have time to go out to eat and share. We don’t live in those areas, but we have a lot of families who have lost loved ones in our community and food is such a simple way I want to help! My late husband worked 30 years for LA County Fire and my son-in-law works for Culver City Fire. I will be happy to make a dish and deliver it to the station! Hi Andrea! If I win the DUTD cookbook, I plan to make some cookies with my two young kids and bring them to the fire station down the street! I would make a comforting and healing meal (including dessert, of course) for my neighbor and friend who just had a baby, and who also has a three-year-old. The newborn stage is an overwhelming whirlwind of emotions and juggling. Having a homemade meal prepared by someone else helps ease the chaos just a bit. I love harvesting with our toddler and bringing it in and preparing it together. She’s learning so much from this beautiful process. My brother has been gone 10 days volunteering at the Red Cross shelter at Rock Creek Community Center in Stevenson. He has the night shift. If anyone happens to drop off food at this shelter, please say hello and happy belated birthday to Red Cross volunteer Tom from his sister Julie in Seattle. I’ll love harvesting from our garden with our toddler and preparing it together. She’s learning so much from this beautiful process that I hope will stick with her for life! I am going to make a large batch of one of the desserts to bring to my city Mayor Randy Henderson in Ft Myers Florida. He can share them with the city manager and all those who worked tirelessly while their own homes and families were greatly impacted. My heart and eyes overflow in graditude so it will be a dessert that is sweet and indulgent. I will cook for my very busy mom when we visit her in Maine next month! sometimes it’s the little things in life that make a big change, just like your beautiful idea of supporting volunteers, physically and mentally, with good food. Me, my sister and a friend of ours have been talking about how we wish we would be able to meet each other more often, but are always so caught up in everyday routine of getting along, that weeks and months pass without us really talking to each other, even though we live very close. Three weeks ago we decided that from now on every week on Thursday, one of us is going to cook for the other two. This way food brings us toghether, it saves time because one day a week we don’t need to take the time to cook but can look forward to having a carefully prepared meal with the other two, or we enjoy organising a really tasty and joyful evening for the others. It lifts the spirits of all of us and I really recommend this little ritual of food and friendship to anyone. P.S. I’m sure we woud take turns in preparing recipes from your cookbook, if we win it, of course! Andrea, you have such a beautiful heart! I love the vision of you sharing cookies with your community. Several ladies I know are struggling with body issues and nutrition, myself included, making meals to share together at a monthly gathering night for beautiful food and heart support would make owing this cookbook a beloved gift for all of us to enjoy. Andrea, you beautiful soul! I love the vision of your sharing cookies with your community. Several women I know are struggling with body issues and nutrition, myself including. Being gifted a copy of DUTD would allow me to share your recipes as body and heart nourishment during our monthly meetings. Congratulations on the success of your book! I am a kindergarten teacher and mother of two. I plan to share the delicious recipes with co-workers, our sister school, family and friends! Thank you for this opportunity! I have made those choc chip and mint cookies (yum! )…and to share DUTD (which I do with book recommendations every week!) I will make more cookies and give them to the folks volunteering for Hurricane Relief fundraisers this weekend and next in MA. I love this idea! Thanks for the little push to think outside myself. I will make something for a friend having a hard time. 2 ways I will share the DUTD love! Firstly I am going to be hosting a kitchen table discussion about food security and sourcing/preserving our local harvests. We will need provisions, so maybe some sourdough and your cherry tomato confit or possibly something sweet to counter balance the fermenting demonstration I am leading. Secondly, our firewood is due to come in the next couple weeks and we will need something warm and comforting for any helpers who drop by to stack and chop. Happy 6 months!! Would love to read through your book and learn more about life as a farmer. I would share with the new family that just moved into the neighbourhood. My wife is having our first baby in 2 weeks, so I’ll be cooking meals for her while she is recovering, and hoping to make them nutritional and delicious. I love the book ad blog. Very easy but creative and honestly professional (I”m a retired chef) recipes. I use my copy frequently. I’ve been emailing recipes to my farmer where I belong to an egg CSA and buy whatever veggies I don’t have in my own garden along with their pastured meat. If I win a copy I’ll give it to this farmer friend and I know she’ll display it in her produce area and people will be inspired to try your recipes and hopefully buy your book. Best of luck-hope you have a productive fall and a nice long winters rest-maybe you’ll be contemplating your next book? You make food that is both real and earthy, but at the same time, elevated. Our local volunteer fire department is right across the street from my girls’ elementary school. You inspired me to take time to drop something homemade off to them…and to get my kiddos involved. Thank you! I’ve been loving the recipes you post on your blog (thank you for your generosity!) and am looking forward to checking out your cookbook. I live rurally, far from any disaster area, but I have used your recipes to prepare farm-to-table meals for my city friends (teachers!) when they visit our place for de-stressing & re-charging. Andrea – As a professional chef, I love your fresh food recipes! I am opening a cooking studio with a large garden and would love to share DUTD recipes with our students. Fresh homegrown produce + great recipes = Awesome! Thankful for your food & amazing recipes! I link your blog in my CSA newsletter on almost a weekly basis. I order to ride the thankful wave, I plan to use one of your cookbook’s recipes at my family’s Thanksgiving celebration. They were the first to believe in and support my farming dreams. Cheers to you, fellow farmer! As a professional chef, I love your fresh food recipes. I am opening a cooking studio with a large garden and would love to share you excellent recipes with our students. Fresh homegrown food + great preparations = Awesome! I would love to share your recipes with my parents, who have had a difficult year with tornado damage to their home and land. My dad is an avid gardener, so I would love to show him the delicious and seasonal meals he can make with what he harvests himself. Amazing work Andrea! I plan on dishing up the dirt by baking for two people: my husband’s boss, whose father just passed away, and my new neighbors, who are setting up their new home while handling their new baby. Blessings and a safe season to you and all! Your recipes are always spot on. I would share the DUTD love with your recipes by making food for my coworkers. I work with a group that mostly eats frozen prepared food and fast food. I want my friends at work to experience seasonal food. I can share my love of home cooking and I think they will be blown away by how good real food tastes and how good you feel when you eat it. What a lovely way to celebrate. Congratulations. I, too, thought wow when you said that Harper Collins was your publisher. Hope you are thinking of the sequel. Take care. I am Jewish and with Rosh Hashanah coming up, I always try to think of what I can do better in the new year. For this year, I want to make more of an effort to cook food for friends who are in need of a home cooked meal. Sharing healthy, delicious food – especially with those who can’t get it quite so easily – is one of the biggest motivators for me as a beginning small scale organic farmer. Thank you for helping to inspire with your recipes and honest posts! I plan to share the DUTD love with the kindergarten class I have the privilege of volunteering with. We talk about growing food, farmers, and eating better, but their favorite part is the same as mine: getting their hands in the dirt! My two elderly neighbors are in poor health. I have been trying to help them with a more healthy diet. I could cook something from your cookbook and share it with them. DUTD for everyone. You are such an inspiration! I love surfing your instagram daily to find wholesome food inspiration. I would use your book to make nutritious meals for myself, roommates, and brother. As a college student, I am constantly in the kitchen and your book would be a great resource for me! It’s been a month since I borrowed your book from the library. The blueberry lemon ricotta biscuits were a big hit this weekend and I want to make them for a friend who was diagnosed with cancer. Great comfort food that is good for you! I love your work and words! I’m about to begin my career as an RN and would love to make some good to share with my coworkers who save lives and are about to pass on so much wisdom to me! Love it! So beautiful and awe inspiring. What a beautiful manifestation of an unexpected dream and an abundant destiny. I’d love to grab some Fall produce from my Farmer’s Market and whip up something yummy for my family. I love your recipes, and would love to cook from your cookbook. I will share a meal with Andy Orr and fiancé in Denver! For a dear friend who’s husband abruptly left and abandoned her and their two daughters, ages 12 years & a 6 month old. She’s an amazing mom & works full time. I would love to gift her with a true farm meal, as she grew up in the country in SE Oregon. I love her & want to make her feel special. Because she is. I just recently bought your cookbook for a friend who needed a “little somthin” to cheer her up. A co-worker who is based in San Francisco (I’m in Boulder Colorado) told me about your Instagram Account a few months ago and I’ve been addicted to DUTD ever since! I’ve made things like the honey banana bread, swiss chard pasta, granola and other tasty items. My favorite thing about your blog and book is that it’s by the season and for me, it’s super handy to have recipes around veggies that I already have from my own personal garden (I’m still learning to be a home farmer) or from our local farm share at Red Wagon Farms here in Boulder. Sometimes I think that you’re reading my mind as just as I’m about to search for a recipe with zucchini or cantaloupe, your email pops up with a recipe with just those ingredients! I love being on the same veggie/fruit schedule as your blog. When I first went to your blog, I immediately thought of my friend and neighbor. This lovely lady has a bountiful veggie garden and has been my gardening mentor for years. Plus, she’s a super lady who has two young daughters and teaches them how to garden, harvest and cook meals as a family. She’s been my inspiration and I knew that this book would be perfect for her. She’s had a rough summer with losing a good friend to cancer, getting into a car wreck blocks from home and even had some woes in the garden. 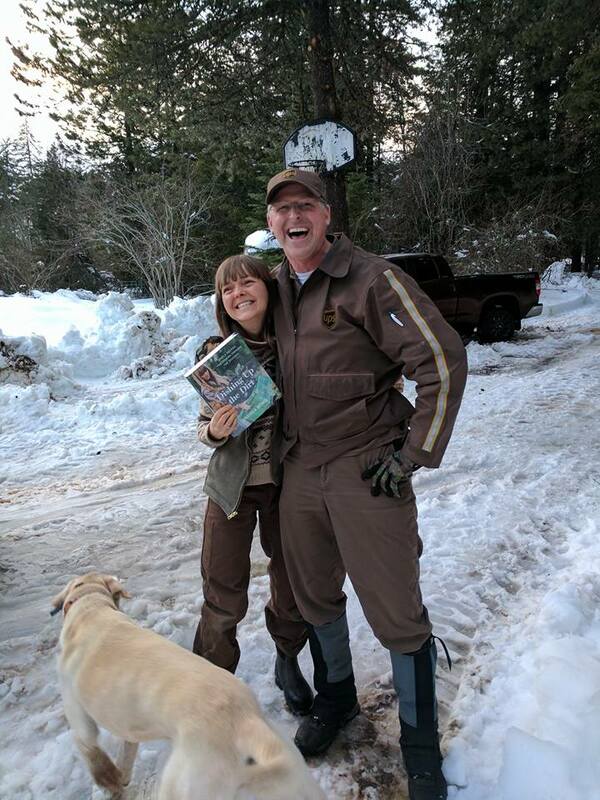 I gave her the book last week and it brought a huge smile to her face. I will continue to follow your recipes and share the DUTD love to my friends and family either in conversation or through Instagram. Thanks for sharing! Surely enjoying your beautiful recipes, thank you! Hello! I work for Habitat for Humanity of Greater Charlottesville, and I would love to use the book for some great ideas to share with our homeowners and buyers on fun ways to inspire and motivate them within their home gardens! I’ll be sending it to her.! Thanks for your generosity I will surely find a recipe that I can make to bring to new parents or someone who is sick in my small island community. Good food-dirty hands-fresh air-beautiful story. Would love a book…..made your Moroccan lamb meatballs last night with the yogurt sauce. I made enough for four, but two people ate them 😉 Great recipe, and thank you. We would be honored to use your cookbook as a guide to preparing food from your CSA and from our own harvests to provide nourishment to friends and loved ones that could not otherwise afford to eat such sustainable, nutrient dense, soulfully prepared meals ️ Happy harvest! You are an inspiration Andrea! I have been planning on making some bread for my neighbor and a few other friends so this post has stirred me into action! I feel for all those who are out there fighting the blaze and suffering through the storms, we have had some smoke here throughout this time and I can’t even imagine how much worse the smoke must be close to the fires! Keep dishing up the dirt!! I’d love to use it to throw a fundraiser dinner for friends to benefit the folks/businesses in the gorge who have been hurt by this devastating fire. How generous of you Andrea for the opportunity to win a copy of your lovely book. Know that you hard work is greatly appreciated Would love to be able to cook from your book for my family and friends. I bet your parents teared up when they read this blog post. No doubt they are very very proud of you. I’m in Oregon too! The fires are so sad… I might make up a treat for the family of a firefighter who last I knew was up in the gorge last I knew. His wife is at home with four kids. Man, that must be tough. I’d use this wonderful collection of yummy-ness as a tool for teaching nub littles about the importance of good food and the efforts it takes from people like you to get it to us. Then branch that into how we can share our bounty and blessings with anyone – friends, family or community – to feel the goodness from our heart and soul, not a mall or store. I grew up spending summers helping my grandfather farm–some of the best memories I have. Recently started a small.backyard garden with my 3 year old and would love to share farm to table recipes with him. Can’t think of anything better than the two of us cooking our way through your book, and hopefully recreating some of those memories from my childhood with him! I love using fresh produce in cooking. I would make some healthy treats for the teachers at my local school, as well as my children’s classmates! Hey, enjoyed watching the trailer. It’s nice to hear your voice after seeing photos of you every week on the blog. I’m wanting to make a pot of soup and invite my friend Carole over to share it. Thanks for the chance to win one of your cookbooks. Following your recipes helps me live vicariously through Tumbleweed Farms. Living in the desert of Las Vegas and maintaining a garden is difficult. I’m wishing I could join you at the Farmers Market or your CSA. I would enjoy making more of your recipes for my family and friends. Keeps me close to my daughter who lives in Hood River. I would share the DUTD love by cooking recipes from your fabulous book for my aunt and her family. She recently lost her sister-in-law, for whom she tirelessly cared for several years. I would surround my aunt with love, family and your great food! Making your meals for new friends in a new town! I’d cook some dishes to share with my coworkers, some who were directly affected by the storms in Georgia, and all who support the community through our work creating art. And I might also surprise my mom in Oregon with some care package cookies, like her mom used to send me at summer camp. Definitely whipping up something comforting and hearty for friends who volunteer (their time, so much time, and safety) with mountain search and rescue. I borrowed your book from the library, and enjoyed it so much I bought myself one for my birthday! I like to bake with my grand twins who also like to share with the neighbors. We have made cookies and brought them to the elderly neighbors. A visit from kids and a few cookies sure can brighten a day! You are such an inspiration!! I would love to cook my dad one of your recipients. He’s been there for me in many ways I can never replay, but time together and some crispy cookies always seem to come close in his eyes! I love your recipes and the naturalness of all you bring to the table – literally and figuratively. Beautifully done and be proud of what you have accomplished. I love cooking for others and bringing happiness with food. Hello Andrea! I am currently a student, but I am volunteering part time for a native plant restoration project in Southern California. I would cook a meal for my co-workers who have devoted their lives to the crucial work of restoring the land to its former self. I would make a meal for our friends who are new parents and figuring out how to balance life and work and family. Mom has just gone back to work and trying to maintain balance. Dad is dealing with family tragedy. It’s a lot. And I want to encourage and love them the best way I know, a warm meal. It also helps that food is also their love language. Thanks for your sobering post Andrea, it is a good reminder to reach out to those in need and remind them they are not alone. We own a small farmstand in Sonoma. Your recipes are helping us get through the harvest. Tomato confit for the win! Thank you! We own a small farmstand in Sonoma. Your recipes are helping us get through our great harvest. Tomato confit for the win! Thank you!! I work at a community farm and I would love to cook meals from your book for our big crew lunches! Mmmmhmmm. Thanks for all the inspiration! I’ve recently moved to Corvallis after living in the south for five years. So, the first way I’d use your cookbook is to invite some new friends (well, acquaintances if we’re being honest) and mash some southern hospitality with your PNW recipes, with the hopes of nourishing a new community. Next, I’d whip up a batch of baked goods and bring them to a group of local volunteers who are helping coach a running club for young girls. They dedicate time, and give themselves emotionally, to help middle school girls gain confidence and self-esteem. P.S. I’m visiting Hood River this weekend and hope to meet you at the Farmers Market! Your book I’ll have to read first before I can make any further comment and GOD BLESS TO EVERYONE! This year for Thanksgiving will be different because it’s the first time my fiancé and I are hosting our families!!! We can not wait and I would love to have some ideas to cook this beautiful evening and share with our love ones! ❤️ It would be lovely to share a recipe or two or three with our family from your amazing cook book! Each recipe is a creation, just as a self made dress can be! For each day a new, beautiful one. Thanks Andrea for the simple wich is always the most complicated to imagine. I’m spreading the DUTD word over here in Germany, sharing your wonderful recipes with friends and familiy. I can’t stop raving about how delicious the meals turn out again and again…. You are such an inspiration, thanks ever so much! I’d love to have your book to show people over here and get the csa idea growing. Thank you, Andrea. From discovering your rustic-yet-modern recipes to feeling inspired by your open hearted spirit, I want to feed “my people” as much as possible – my dear sister who has endured a lot of disappointment and tragedy this year, to my bakery staff who work so hard with smiles at 90° kitchen heat. Food, to me, is one of the last ways of direct human interaction (especially in this smart technology era), and it is the true universal language empathized and enjoyed across all nations and races, all genders and ages. It is the reason why I had a significant career switch, and keeps me quietly content all the while physically weary (and can only imagine how much harder it is on the farm!). Thank you for sharing your spirit through this publication. I would definitely make real mint chocolate cookies, my daughter would love to take them to her teachers and also a batch for our veterinary clinic, we have been there a lot lately! I would definitely make real mint chocolate cookies, my daughter would love to take them to her teachers and also a batch for our veterinary clinic, we have been there a lot lately! My neighbors just had a baby so I bet they could use a good meal too! I love this concept. We don’t live in the areas most hurt, but I have some friends that live in the area. I’m going to mail them some care packages. Also, my uncle is a local firefighter I think his guys would appreciate the farm stand meatballs, with chard (instead of collards) and fresh apricot (since that’s whats in my garden). I plan to cook through the seasons for my family with produce grown from the back yard! Oh my god! I looove the trailer! So much fun to finally hear your voice after reading so much about you & your life at the farm. You are a true inspiration and since we´ve moved to our farm a year ago and started growing our own veggies, fruit and flowers (compared to you small scale, of course 🙂 your posts mean even more to me than before. Keep up your great work!!! Greetings from Bavaria/Germany! I work with college students who are the first in their families trying to get a degree. They are often working two or three jobs while being full time students, helping support their families with either taking care of younger siblings or providing financial support, and doing incredible work to support one another. I cook something really healthy for them at the monthly potlucks they host to support each other. I would share your recipes with them and continue to talk about the power of eating well and succeeding. I would LOVE a book! Your website/blog is AMAZING! I’ve been hosting fundraising dinners to send monetary support to Houston, Charlottesville, and other places affected by crisis and tragedy. I’d love to incorporate recipes from DUTD into my efforts to bring together my local community in support of the work being done to rebuild and repair communities reeling from all of the recent tragedies. Not currently near the fires, but thinking of ya’ll. I’ll use the cookbook to fuel my fellow female classmates at the Yale School of Forestry, where we are working hard to develop new solutions to climate resiliency and hopefully address the many issues out West that are fueling these massive fires! So we will help, academically, from afar!! I am the farm-to-school coordinator at my children’s elementary school in Vermont. I would love some new recipes to inspire the cooking I do with the students. We cook healthy dishes with food from our school garden and local farms, then serve taste-test portions to all of the students at lunchtime. My cookbook collection is a bit stagnant and I would love to add “Dishing Up the Dirt” to it! My condo building is attached to our downtown fire station. I would love to whip something up from your cookbook and take it to them!! I’ve been a lurker follower for a few years now and figured this was a good time to jump in the conversation! I’ve recently moved to Corvallis after living in the south for five years. So first, I’d make a dinner for newfound friends (really still acquaintances) with the hopes of fusing southern hospitality and your PNW recipes to help build community. Next, I’d make a batch of baked goods for volunteers who lead a girl’s running group. These volunteers give their time and emotional capacity to help girls discover running and confidence, in a safe and welcoming environment. Andrea – I love your blog! I have been following you, your farm and cooking your recipes for a couple years. We live in Bend and often get over to Hood River for visits and I love thinking that one day I will get to swing over to visit your farm. I love to cook and try new recipes and am a big fan of “test kitchen” dinner or weekend breakfast gatherings with friends that are willing to try something new. We support a local CSA here and adore our farmer! Keep up the fantastic work! I would LOVE a copy of your new book! From Lancaster, Pa.!, I plan to share the DUTD love by reaching out to my ESL class with yummy brownies and a warm welcome! I just came across your blog and I love it! all the love and passion you have!!! It shines through! and I would love to share and pass on your recipes! both to loved ones and others in need! If I where closer to you I´d sure try to help .. and from where I am I´ll send all my love and best wishes! and I will for sure share food from my garden, cooking my veggies with your wonderful and inspiring recipes and spread the love as much as I can around.. because we need love! this world needs love and it needs people with passion and love that´s unafraid to share it like you! people that´s unafraid to be honest and real! You sure can be proud of your self! you should be! sending all my love and good vibes! I stumbled across your site a while back…allways looks amazing! I live in Portland, Maine. My boyfriend and I live for cooking nutritious and simple meals with the food grown right around us. We may not have much, but at the end of the day, it’s the food that brings everything together! Sharing meals and with my Mom and sisters! I CAN’T WAIT to use this book!! Your life, attitudes and food works all speak to me — so the book will be all of that. I’d like to share the love by starting a supper club. I want to bring diverse women together to lift each other up while the world around us is in chaos. Food is such a unifier! I am an off the grid, homesteading, minimalist, sustainable lifestyle wanna be enthusiast! I love your blog and I too live in the PNW. Your book fits perfectly into my daily commitment to love the land. It would be so great to have your recipes to choose from when my kids come to visit. Cookie going to our Volunteer Fire Department! I want to share the love with a talented friend who recently found herself jobless and is handling the uncertainty with complete grace. This is awesome! Great job on everything, including the blog of course. I would definitely share the love with my whole family! I am trying to get everyone to eat more healthy like I do. It is definitely a challenge! We now belong to a CSA so I think we are going in the right direction. I would ABSOLUTELY LOVE A COPY OF THIS BOOK! Fingers crossed! Serving a meal to folks who need it in Texas! I lost two friends this week. One to agressive cancer and one to suicide. Both were under 30. I would love to cook beautiful meals for their families who are hurting right now. It’s the best way I know how to show I care and love them. Oh my word, this is awesome. I’d LOVE to start a local foods supper club, and your book would be the perfect start! I can’t imagine a better way to welcome in a peaceful fall after such a crazy summer. I came upon your blog as I was doing research on running a small veg farm. We have our eye on a small farm and are in the dreaming phase, and I’m left wondering if we’ll ever be brave enough to leap. I’m inspired by you! 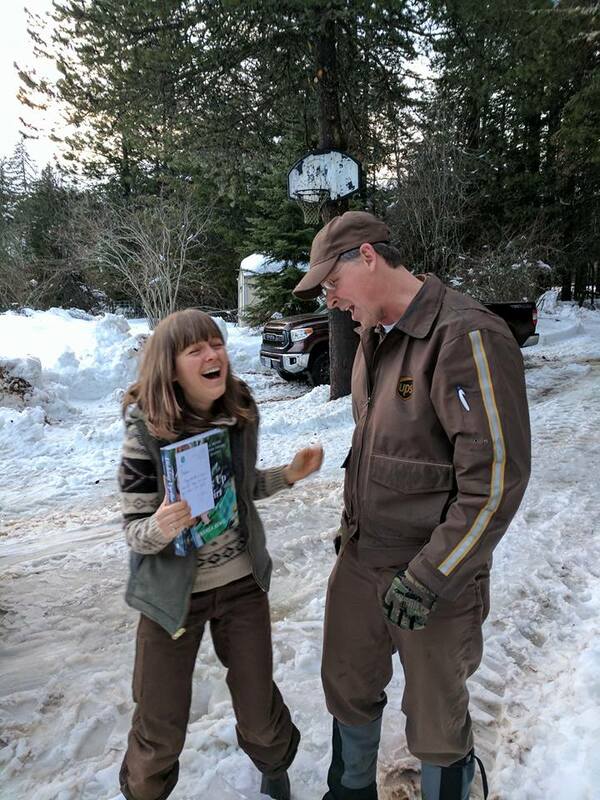 Hi Andrea, I remember that great UPS pic from Instagram 🙂 I plan to use the book to help inspire people at work, where a colleague and I have set up a community allotment in an underprivileged area. We’ve just reached the end of the main growing year and are about to assist the plot holders through the winter months and propel them into spring 2018! Amazing book!! We have a bio intensive 2 acre farm in Southern California. We believe in bringing good healthy food back to our community. Our farm is a blending of generations and the benefits and wisdom each generation brings to the table. We run a farmstand from our farm once a week and are always recommending recipes, authors and good cookbooks to our patrons of healthy homegrown vegetables. Your book, website and all social media are awesome! Love your blog! I made your cashew beet soup last night for our family dinner. Whenever I need some food inspiration I always come back to your recipes. Too late for me to win but I am all in anyway! I would love to carry your book in our upcoming coffee shop and general store. I am also a farmer though an urban one, and love supporting female farmers!! !